Barbican Toy Storage Tray, Grey | Great Little Trading Co.
You know those little toys that get lost at the bottom of the toy box only to be found under your foot as you sneak out at bedtime? 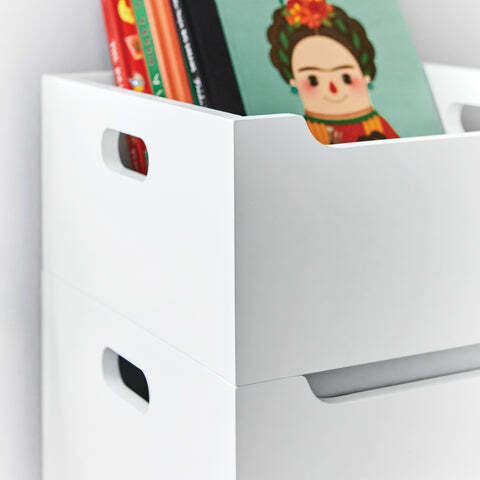 Add this sleek tray to your Barbican Toy Storage and hey presto, problem sorted. You can rest assured that the Barbican storage tray is designed and built to cope with the demands of life in a family home! It also has cut out handles for easy lifting and carrying. For safety reasons please stack no higher than two of the Barbican toy storage units plus the tray. Bare walls aren't just boring, they're a waste of space! 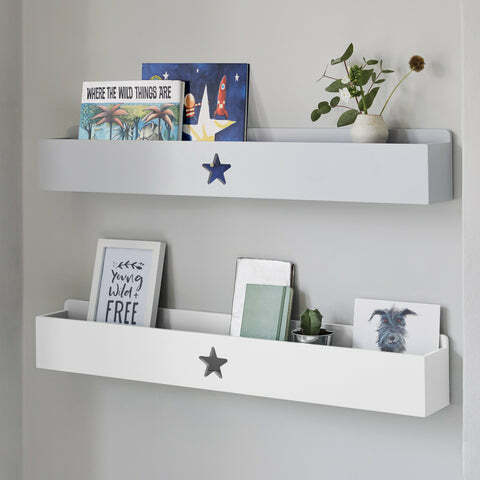 make the most of every inch with some of our gorgeous Wall Shelves.